The following changes go into effect January 6th, for most boroughs excluding Staten Island, which for whatever reason wants to change their schedules a week later. Looking at the changes, I guess they couldn't find a lot of things to mess up. A new 5:30 AM trip has been added from Pelham Bay towards Midtown (previous first bus was at 4:45 AM). The 8:30 and 8:45 AM buses from Pelham Bay have been combined into an 8:40 AM trip. The first and last stop on buses to/from Harlem is 18th Street instead of 14th Street. New trips originating at the Forest Hills-71 Avenue subway station to Crescent Apartments depart at 3:58 PM, 4:36 PM, 5:14 PM, 5:52 PM, 6:30 PM, and 7:12 PM. Saturday AM service operates every 20 minutes instead of every 15 minutes. Saturday Noon and PM service operates every 10-12 minutes instead of every 15 minutes. The last AM bus will now depart Eltingville Transit Center at 8:14 AM (instead of 9:07 AM). The last PM bus to Eltingville departs Chambers Street at 7:25 PM (instead of 8:30 PM). Midtown Service from 4:10 AM to 4:50 AM will operate every 12 minutes (instead of every 20 minutes). Service to Midtown added between 8:22 and 9:20 AM, operating 8-10 minutes. The first post-PM peak bus to Eltingville from Midtown departs at 6:50 PM (instead of 7:24 PM). Service from 6:50 PM to 8:30 PM to Eltingville will operate every 10 minutes (instead of every 8-20 minutes). The last trip to Downtown on weekdays will depart Hylan Boulevard & Craig Avenue at 9:00 AM (instead of 7:00 PM). The first trip to Tottenville on weekdays will depart Chambers Street at 3:05 PM (instead of 8:20 AM). Service from 3:35 PM to 5:10 PM will operate every 15 minutes instead of every 12 minutes. The 7:20 PM and 7:45 PM trips from Downtown will be consolidated into a 7:30 PM trip. Service from 5:35 PM to 6:10 PM will operate every 20 minutes instead of every 12 minutes (SIM3). Service between 1:20 PM and 3:00 PM has been adjusted away from the even 20 minute frequency (SIM3C). Service will operate every 5-6 minutes instead of every 8 minutes between 6:48-8:07 AM. Service will operate every 8 minutes instead of every 10 minutes from 5:25-6:19 PM. The last bus departing Chambers Street will be at 6:29 PM (instead of 6:45 PM). All Off-Peak Service will now originates/terminates at Woodrow Road & Vineland Avenue. Off-Peak Service will no longer stops on Gannon Avenue - see SIM33C. The first Weekday bus to Huguenot from Midtown will now depart at 10:20 AM instead of 7:20 AM. Evening short-turns from downtown start at 6:39 PM (instead of 6:55 PM) and run every 12 minutes (instead of every 10 minutes). Service will now stop at Lamberts Lane in both directions. A new 4:50 AM trip to Midtown will be added (first trip is currently at 5 AM). Service runs every 3-5 minutes for most of the AM rush instead of every 4-6 minutes. Redistribution of service between 5-6 PM. Service operates every 10-15 minutes during most of the AM rush instead of every 8-10 minutes. Service between 4:27 PM to 5:30 PM operates every 10 minutes instead of every 12 minutes. Service from 5:30 PM to 7:30 PM operates every 15-20 minutes instead of every 12-15 minutes. More frequent service from 4-5 AM. The 5 minutes frequency will be extended until 7:21 AM (from 6:55 AM). Service between 7:21 AM and 8:00 AM will operate every 10 minutes instead of every 6 minutes. Service from 2:30 PM to 4:00 PM will operate every 12 minutes instead of every 15-20 minutes. Less frequent service from 4:30 PM to 5 PM. Service from 5:58 AM to 6:44 AM will operate every 6 minutes instead of every 4 minutes. Service from 7:35 AM to 8:10 AM will operate every 10-15 minutes instead of every 7-10 minutes. Service between 8:10 AM and 9:10 AM will be discontinued. The 2:40 PM and 2:50 PM trips will be consolidated into a 2:45 PM trip. The first trip to Midtown will now depart Tottenville at 4:35 AM (instead of 5:00 AM). The 7:35 and 7:45 AM trips to Midtown will be consolidated into a 7:40 AM trip. A new 9:00 AM trip to Midtown will be added. Service between 5:10 and 6:20 PM will operate every 12 minutes (instead of every 10-20 minutes). Two new 7:30 PM and 8:00 PM trips from Midtown have been added. The 6:15 and 6:30 PM trips to Midtown will be consolidated into a 6:20 PM trip. The 7:00 and 7:20 PM trips to Tottenville will be consolidated into a 7:15 PM trip. Service between 5:30 PM to 6:15 PM operates every 15 minutes instead of every 10 minutes (service doubles on the branches). Service will operate every 15 minutes between 5:35 and 6:45 AM (instead of every 10 minutes). Service between 6:45 AM and 7:15 AM will operate every 10 minutes (instead of every 8 minutes). Service from 7:15 AM to 8:30 AM will operate every 15-30 minutes (instead of every 12-20 minutes). The 5:10 PM trip from Midtown will be split into a 5:05 PM and 5:15 PM trip. The 5:20 and 5:30 PM buses will be combined into a 5:25 PM bus. Service will operate off-peak hours when the SIM33 does not run. Serves Mariners Harbor, Gannon Avenue, and Narrows Road onto Downtown and Midtown (via 6 Avenue, Church Street, and Broadway). Route will be extended past Chambers Street to/from Houston Street. The 5:00 and 5:20 AM trips to SoHo will be combined into a 5:10 AM trip. A 5:50 AM trip to SoHo will be added. More frequent service departing Chambers Street between 4:45 PM and 5:36 PM. Does this mean they did not end up cutting the Q46 as they had planned? There is a new schedule out now. Turns out they updated some schedules late. I'll review that and any othet additional schedules they might have put up later. I think that cutting an hour of SIM10 service in each direction is ridiculous because you're forced to take the slow SIM1C or the SIM6/11 to the S79 if you used the SIM10 south of Nelson. But if they had to cut an hour of service in each direction I would cut service at the beginning of the rush hours. In the AM the SIM10 would run from 5:10 AM to 9:10 AM and in the PM, service would run from 3:00 PM to 7:45 PM. The SIM6 terminal will also be moved from Central Park to 57th & Lexington, for all trips. I'm really disappointed with the off peak SIM routes. This was a perfect opportunity to create from scratch a true, cohesive off-peak network with coverage to all parts of the island and instead here we are with the SIM2 getting cut after 4 months and basically the same old off peak routes they had before. Here is the complete list, with additions in light blue. The 4:54 AM, 5:59 AM, 3:12 PM, 3:48 PM, and 11:00 PM short-turn trips from Hunts Point to Washington Heights will be discontinued. Three short-turns from Hunts Point (Southern Boulevard) to Washington Heights will be added at 6:32 AM, 1:55 PM, and 2:31 PM. Service will operate every 12 minutes from 8:30 AM to 9 AM (instead of every 8 minutes). Seven short-turn trips from Food Center Drive to Southern Boulevard have been added at 9:08 AM, 9:20 AM, 9:32 AM, 11:20 AM, 7:43 PM, 7:58 PM, and 8:43 PM. The 9:39 AM short-turn from Food Center Drive to Southern Boulevard will now leave at 9:44 AM. The 9:59 AM and 10:19 AM short-turns from Food Center Drive to Southern Boulevard will be discontinued. Midday service will operate every 12 minutes (instead of every 10 minutes). PM Shoulder service (2-4 PM) will operate every 10 minutes (instead of every 9 minutes). Service in the post-PM peak will operate every 12 minutes (instead of every 10 minutes). Evening service will operate every 15 minutes (instead of every 7-8 or 12-15 minutes). Late evening service will operate every 15-20 minutes on the whole route WB only (instead of every 10-15 minutes between Food Center and Southern, and every 20-30 minutes west of Southern Boulevard). The 9:11 AM short-turn from Washington Heights to Southern Boulevard will be split into a 9:08 AM and 9:20 AM bus. The 10:07 AM short-turn from Washington Heights to Southern Boulevard will be discontinued. The 7:52 PM & 8:52 PM short-turns from Washington Heights to Southern Boulevard will now depart at 7:46 PM & 9:01 PM, respectively. A new short-turn from Washington Heights to Southern Boulevard will be added at 1:20 AM. The 3:23 PM LIMITED trip from Ridgewood to Downtown Brooklyn will be split into a 3:21 PM and 3:27 PM trip. The 7:56 AM short-turn from 14th Street to East Harlem will now depart 14 Street at 7:53 AM. Weekday Service after 11 PM towards Flushing will leave 9 minutes earlier than the current schedule. 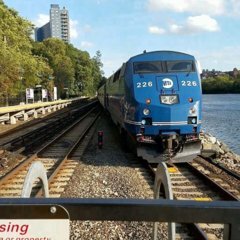 The 12:03 AM Weekday trip from Flushing to Little Neck will be discontinued. Saturday service from 7-8 AM will operate every 8 minutes instead of every 10 minutes. Service from 8:30 AM to 9:30 AM in the SB direction will operate every 12 minutes (instead of every 10 minutes). AM peak service in the NB direction will operate every 10 minutes (instead of every 9 minutes). The last AM trip from Flushing to Jamaica will depart at 9:41 AM (instead of 9:30 AM). The last AM trip from Jamaica to Flushing will depart at 8:16 AM (instead of 8:10 AM). Evening service will operate every 7-9 minutes in the SB direction (instead of every 6-8 minutes). PM peak service will operate every 10 minutes in the NB direction (instead of every 9 minutes). AM peak service will operate every 7 minutes (instead of every 6 minutes). Midday service will operate every 7.5 minutes north of and including the Horace Harding Expressway (instead of every 7 minutes). Midday service on 188 Street will operate at inconsistent 7 or 15 minute headways instead of consistent 14 minute headways. Weekday service will operate every 5-6 minutes during the AM rush to the subway (instead of every 4-5 minutes). Weekday service will operate every 8 minutes from 8 AM to 9 AM from the subway (instead of every 10 minutes). Weekday service from 10:06 to 11:00 PM from the subway will operate every 7 minutes (instead of every 6 minutes). The 12:15 AM Saturday Night/Sunday Morning trip from LIJ to the Subway will be discontinued. AM service to the subway will operate every 9-10 minutes before 6:30 AM (instead of every 6-7 minutes). 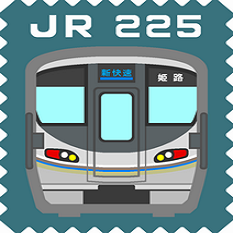 Less frequent AM service to the subway from the 260 Street branch between 6:34 AM and 7:06 AM (LIJ branch remains unchanged during this time period). AM service to LIJ will operate every 7-9 minutes (instead of every 6-7 minutes). Service on each branch between 7:30 AM and 8:00 AM operates every 6-7 minutes (3-3.5 minutes combined) instead of every 2-3 minutes. A new 5:30 AM trip has been added to Jamaica (first trip formerly at 5:40 AM). Service operates every 6-8 minutes during the AM rush (instead of every 7-10 minutes). Additional service from 12:00 to 12:30 PM. Service operates every 3 minutes from 3-4 PM (instead of every 5 minutes). Service operates every 12 minutes from 4-5 PM (instead of every 15 minutes). Service along 57th Street west of Madison Avenue will be discontinued. AM service will instead head east to Lexington Avenue and terminate. PM service will originate at 57 Street & Lexington Avenue. From what I've heard, the Q12 hawk run was moved earlier to report just after 10:00PM so it can clear before the busiest part of the AM rush. The 12:03AM trip is still there, but it's now covered by the hawk instead of a late run. Ahh, the ol' "three artics for every four 40-footer" rule... Gotta love it when a route gets converted to artics..
All I have to do is look at the B/44 SBS from Knapp Street when it began and now particularly during the weekday midday hours of 11 AM - 1 PM that has a 20 minute headway which means 10 minutes north of Avenue U. 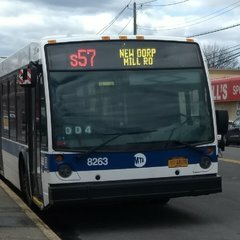 When the artics are placed on a route with SBS, I knew it was just a matter of time before the headways started to increase on the route from 16 minutes to 20 minutes from Knapp Street and from 8 minutes to 10 minutes from Avenue U. As usual, my useless representatives write generic letters to the MTA when I complain about these cuts, but the cuts happen anyway. Yay for politics. Most of them drive. I met my Assemblyman a few weeks ago about express bus service, and he didn’t even know what the fare was!! I was embarrassed to have him represent me. That’s why I started the group because sometimes elected officials don’t have a clue of what’s going on, and nothing changes, so the way I see it, I’m paying for a service, and when you go to high-end restaurants and you get crap service, you ask to speak with a manager. Well with the I’m doing the same thing. I’m not happy with service, so I’m going directly to the top and demanding answers. I’ve been MUCH more successful this way. My express buses have been running consistently ever since. Now are there problems? Certainly, but service is A LOT better than it was before, trust me. By the way, I’m going to bring up the QM1 in my meeting this month. It remains unacceptable to not fill those PM trips and I want to know why they can’t fill them. What I’m going to ask for is a Queens contact. I have a Bronx and a Brooklyn contact and a few other contacts too and they are more than happy to have a look at the schedule and tell me what such and such trip does before and after so that we can identify what is causing the trip to go missing or be late. Very knowledgeable, approachable guys too. As always, your efforts are much appreciated! Agreed!. If you listen to most of our representatives whether in City Hall and Albany, you wonder if they are aware of anything that the MTA does, let alone other agencies under either the city and state. True! There are some exceptions to the rule and this depends on whether the community that they represent have shown a serious interest in the subject. A reminder to my fellow posters: There is an election next month on February 26 for Public Advocate and I understand that there are 20 candidates running for the position (Thankfully I do not plan to work that day). It will be interesting to read and hear their positions on improving the bus and train service. I really wonder if those 20 candidates do really care about public transit and it’s impact to the city. They don't. It's just a bargaining chip. Twenty people running for an office that doesn't even need to exist? There's a route change to the M35 due to the construction on the RFK bridge. The bus will go straight to the Ward's Island segment of the route first, then make all regular stops going northbound. Don't know how long this will go on for, but I wonder if/how it will affect the X80 when event season starts on Randall's Island. Also, the M5 apparently runs overnight now between 157th and 168th Streets. Amazingly, there's no overnight schedule listed though on the timetable. @BM5 via Woodhaven The S93 also gets 12 minute off-peak headways starting Monday. Unfortunately, the PDF schedule isn't updated (it still shows April 1st, 2018), but if you look in Trip Planner you can see it. (Unfortunately, it appears the last Brooklyn-bound bus is 9pm out of CSI instead of 9:30pm). It says 12-minute off-peak headways for the S93 on the service guide. It also says that the last Brooklyn-bound bus is at 9:36 PM and last SI bus at 10:34 PM. But the info on the service guide could be inaccurate for some reasons, here are some good mistakes I've found so far. 1. Shows no reverse-peak headways for the SIM buses. 2. Says that the SIM2 is running every 30 minutes during the midday on weekdays. 3. The SIM3C shows no Sunday evening headway (Which is around 60 minutes). 4. The SIM4C says it runs every 20 minutes the entire day Saturday and every 30 minutes the entire day Sunday. 5. The SIM33 and SIM35 are shown running every 12 minutes during the PM rush hour period, however, those routes don't run any more frequent than every 15 minutes during the PM rush. That's it for now, but I'm sure there are more typos. @Lil 57 Thanks. What happened was that after 9pm, the first option it gave me was the S62 to the S53, so I figured it would only do that if the S93 wasn't running anymore (since the S93 is a one-seat ride and bypasses Grasmere/South Beach). But I double-checked, and the last bus was indeed 9:36pm out of CSI. It's going to be rather weird seeing the S93 run more frequently than the S53 & S79 (which both run every 15 minutes after 10pm) and then just stop running completely. At that time of the evening, the S93 isn't that busy (even running less frequently than the S53/79 buses are still generally emptier). What would be interesting to see is if some S61/62 riders shift to the S93 during middays and evenings, since the S93 would be much more frequent than the ferry during those hours. It’s for the closure of 168 St on the . Cool, but I'm still not getting why it's an M5 though..... This reminds me of that situation involving a quote-unquote ghost M10 that someone on here referenced a good while back, when the CPW line had issues.... Dub it a shuttle & be done with it.